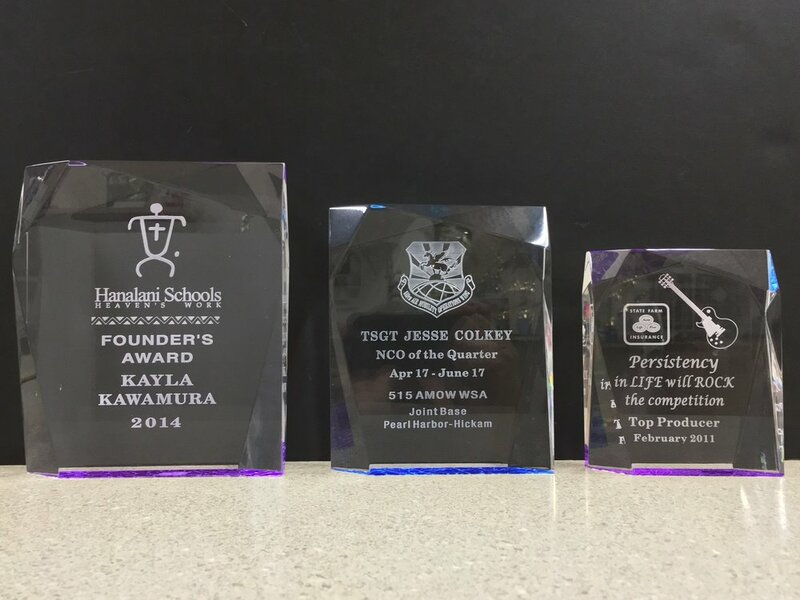 For an elegant and classy award, choose from our many styles of Acrylic Awards. 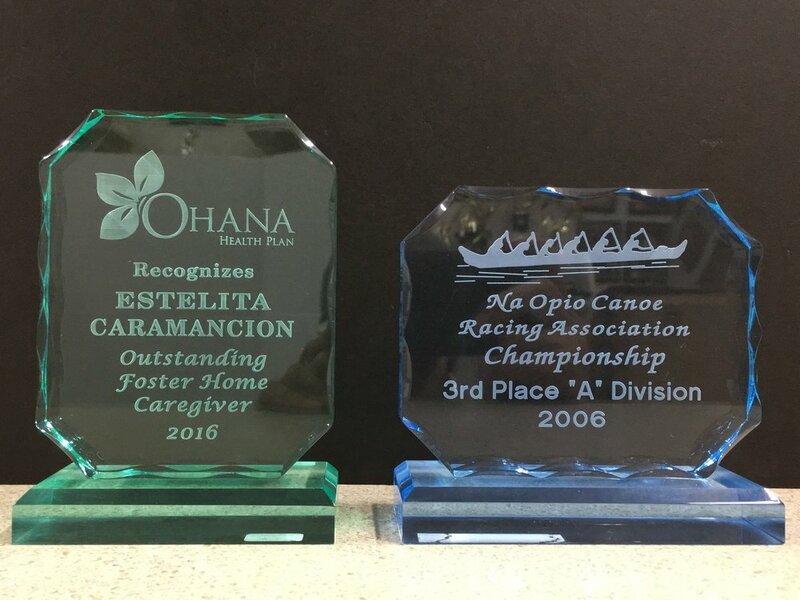 These can be laser engraved with your custom logo design and will really make a lasting impression on the recipient. Along with the clear acrylic look, we even carry some with a Jade or Light Blue tint, which even adds more uniqueness.